Fulfilled prophecy makes the history of Jesus Christ truly unique. There are no other gods, idols, kings or anyone else with hundreds upon hundreds of prophetic words spoken in regards to their coming lifetime. This is no small matter regarding your faith in Jesus Christ. 1) How does fulfilled prophecy build our faith? 2) What if a prophet predicts something erroneously? 3) Where was the coming Messiah first predicted in the Hebrew Scriptures? There are over 300 prophecies about Jesus Christ in the Hebrew Scriptures (aka Old Testament). Prophecies prove foreknowledge of the coming Christ by God's people, but given to them by God. Each prediction about the coming Christ was fulfilled, with some about his second coming yet to be fulfilled, but trustworthy. No true prophet of God ever prophesies incorrectly. A study of the prophecies about Jesus Christ is edifying for the believer. To know that the life and work of Jesus Christ is the eternal plan of God, as opposed to a reaction by God, builds our faith. We need all the help we can get, right?! Listen to Paul in 2 Timothy 1:9, "For God saved us and called us to live a holy life. He did this, not because we deserved it, but because that was his plan from before the beginning of time - to show us his grace through Christ Jesus." Fulfilled prophecy is evidence of an all-powerful, all-knowing God who can be trusted to carry out his plans. 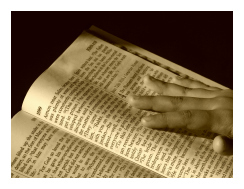 God laid the Scriptures out for a reason, so that it could be evidence for his existence. Old Testament fulfilled prophecies about the New Testament plan is hard proof of God. Not that he needs proof, but he offers sufficient evidence to assuage our rational minds. I'll present lists of Bible prophecies about Jesus Christ in categories, with Scripture references for both the prophecy itself and the fulfilled prophecy in the New Testament. 1) The Christ (Messiah) was first mentioned in the Garden of Eden after the great fall of mankind. The pre-incarnate Christ stated of his coming, "And I will put enmity between you and the woman, and between your seed and her Seed; He shall bruise your head, and you shall bruise His heel" (Genesis 3:15). Galatians 4:4 offers the fulfillment, "But when the fullness of the time had come, God sent forth His Son, born of a woman, born under the Law." Also, this fulfilled prophecy is found in 1 John 3:8. 2) The Christ will be like the prophet Moses (Deuteronomy 18:15-19). Acts 3:22-26 announces the fulfilled prophecy. 3) The Christ will be born to the virgin. "Therefore the Lord himself will give you a sign: Behold, the virgin shall conceive and bear a Son, and shall call his name Immanuel" (Isaiah 7:14). Fulfillment found in Matthew 1:18-25. 4) Christ will be God's Son (Psalm 2:7). Fulfilled prophecy recorded in Luke 1:35. 5) "The Lord has sworn in truth to David; He will not turn from it: I will set upon your throne the fruit of your body" (Psalm 132:11). Luke 1:32-33 reveals the fulfilled prophecy. 6) Christ will be hated even though innocent of wrongdoing. "Let them not rejoice over me who are wrongfully my enemies; Nor let them wink with the eye who hate me without a cause" (Psalm 35:19). Fulfilled prophecy found in John 15:24-25. 7) "Even my own familiar friend in whom I trusted, who ate my bread, has lifted up his heel against me" (Psalm 41:9). Fulfillment found in John 13:18-21. 8) Christ will be accused by false witnesses (Psalm 35:11). Fulfillment found in Mark 14:56-57. 9) Psalm 22:1 - The Christ was first experiencing the wrath of the sin of mankind upon him, as his Father punished the sins. God had to abandon the Lamb during the Lamb's slaughter. It was part of our punishment that Christ bore while dying on the cross. Fulfilled prophecy found in Matthew 27:46. 10) Psalm 22:6 - "But I am a worm, and no man; a reproach of men, and despised by the people." Christ considered himself a worm, a certain worm of which a red dye was extracted for clothing. He was being squashed and dried so his blood could benefit those who would trust in him. Fulfillment found in John 19:34. 11) Psalm 22:7,8 - This prophecy reveals that Christ would be ridiculed by hecklers while hanging upon the cross. Fulfillment found in Mark 15:29-32. 12) Psalm 22:9,10 - Christ alone can claim this unmatched holiness from the womb of his virgin mother. Fulfillment found in Matthew 1:1ff. 13) Psalm 22:11-13 - This passage predicts that Roman soldiers, who were as brutal as the strongest "bulls of Bashan," would inflict great pain upon the Christ. Fulfilled prophecy recorded in Matthew 27:26. 14) Psalm 22:15 - "My strength is dried up like a potsherd, and my tongue clings to my jaws; you have brought me to the dust of death." Jesus Christ experienced terrible thirst while receiving the persecution, just as this Psalm predicted. Fulfillment found in John 19:28. 15) Psalm 22:16 - "For dogs have surrounded me; the congregation of the wicked has enclosed me. They pierced my hands and my feet." The Hebrews often referred to the Gentiles as "dogs" and the soldiers and mockers in fact surrounded him. This is a clear prediction of the type of crucifixion Christ would suffer - his hands and feet were pierced and nailed to the cross. Fulfillment found in John 20:20,25-29. 16) Psalm 22:17 - "I cannot count all my bones. They look and stare at me." Exhaustion and impending death took a toll on Christ as he hung on the tree. Through this terrible torture, not a bone was broken. John 19:36-37 reveals the fulfilled prophecy. 17) Psalm 22:18 - "They divide my garments among them, and for my clothing they cast lots." This shamefully came to pass during the crucifixion. Fulfilled in John 19:23-24. 18) Psalm 22:22 - This passage refers to resurrected Christ announcing the accomplishment of the Lamb's sacrifice to his disciples in Luke 24:46. 19) Psalm 22:27 - Christ's great act of perfect love to the world elicits responses from both the Jews and Gentile nations - families from all around the globe accept his sacrifice and praise God's name. Acts 13:46-48 demonstrates the fulfilled Bible prophecies. 20) Psalm 22:28 - "For the kingdom is the Lord's and he rules over the nations!" Revelation 19:15 reveals Christ's authority and rule over the earth. 21) Isaiah 52:13-15 - Much like Psalm 22 predicted this passage reveals the extent to which the Christ would suffer. He would be inhumanly tortured beyond recognition. Bible prophecies fulfilled in Matthew 26:67; 27:30-31; and John 19:3. 22) Isaiah 53:1-12 - This passage is a graphic, unmistakable, prophetic song of Christ's sacrifice and detailed accomplishments for future believers. The gospel accounts of the crucifixion and resurrection reveal the fulfilled prophecy of this incredible passage. 23) Psalm 68:18 - The Apostle Paul, in Ephesians 4:8, correlates this Psalm passage to the ascension of Jesus Christ event, described in Acts 1:3-11. Bible prophecies which will be fulfilled at the 2nd coming of Jesus. 24) Isaiah 9:6,7 - "For unto us a Child is born, unto us a Son is given; and the government will be upon His shoulder. And his name will be called Wonderful Counselor, Mighty God, Everlasting Father, Prince of Peace. Of the increase of his government and peace there will be no end, upon the throne of David and over his kingdom, to order it and establish it with judgment and justice from that time forward, even forever." Both the deity and humanity of Christ is explicitly announced in this passage. Of course, the first section of this passage was fulfilled at Christ's incarnation. The final part won't be fully complete until Jesus' second coming and establishment of his eternal throne overlooking the New Jerusalem. While reading this chapter today I had a question that came to mind, "Is Isaiah 9 a prophecy or is it history itself?!" It is so vivid, so detailed, and accurate that it seems it could have been written after the crucifixion! 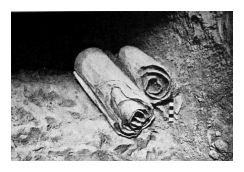 The Dead Sea Scrolls were discovered in the Qumran community caves in the 1940's and 1950's remarkably in tact. 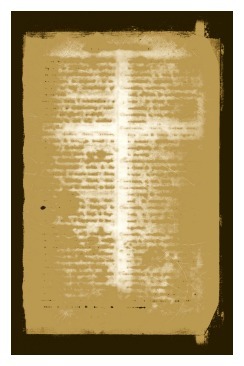 The age of the Scrolls is proven to be well before Jesus' birth. For instance, the multiple copies of Isaiah discovered in Qumran are a thousand years older than the Isaiah texts used to write our Bibles. The human history of Jesus Christ was predicted hundreds and thousands of years before his earthly life began. Think about it. Isn't that in itself amazing?! The Dead Sea Scrolls strengthen the evidence for those who need proof of God. Jesus Christ would turn out to be the greatest prophet (Deuteronomy 18:15-18) and also the subject of ALL prophecy (Hebrews 1:2). The earlier prophets were limited in their understanding, and could only radiate Christ through their lives and ministries (Exodus 34:29-35). These prophets were only able to present partial revelations of the coming Christ. Their prophecies were veiled in mystery. Jesus' prophecies about himself were always accurate and descriptive, but unfortunately, not always heeded by other people (John 3:31-36). We must now take extra special note of Jesus' prophecies about his 2nd coming. Jesus calls us blessed when we study and understand the book of Revelation, therefore, we should make that a priority (Revelation 1:3). Fulfilled prophecies about Jesus' birth, death, resurrection, and return are so numerous that I can't possibly list them all on this site. The study of Christ's coming to earth as the Savior and reigning forever as the King of kings and Lord of lords should give you faith and hope. These things are needed to believe in God as the One who holds eternity in his hands! I encourage you to commit your life to him today. Time is wasting away, so why wait? 1) Where was Judas Iscariot predicted in the Old Testament? 2) What event did King David prophecy about in Psalm 22? 3) What prediction foresaw Jesus Christ's ascension? Galatians 4:4 says, "But when the right time came, God sent his Son, born of a woman, subject to the law."